This year was the first Anderson Lights of Hope's Christmas Gift Light Festival was held on land surrounding the Civic Center of Anderson. 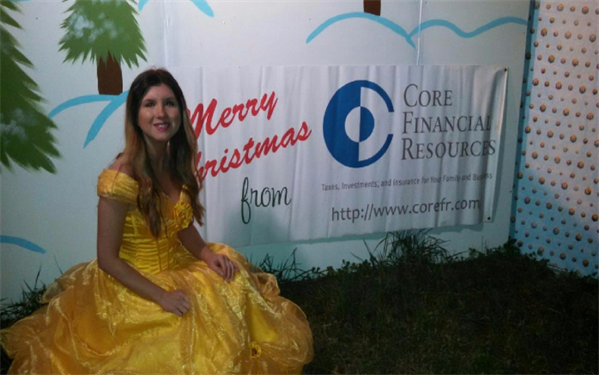 Alysha volunteered many times helping them set up the displays and even dressing as Belle to greet children. The event featured a Santa's Village featuring several vendors decked out with the holiday spirit. It even includes a fire pit where people can roast s'mores and visit with each other.